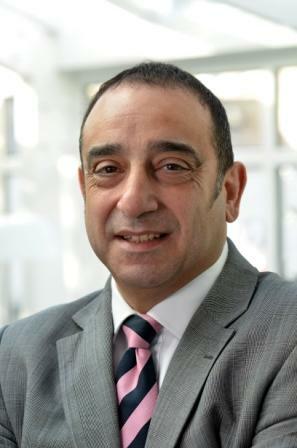 12 Months on from Joe Martoccia joining Ultraframe as Sales and Marketing Director, Joe gives his perspective of the market and Ultraframe’s plans for the coming year. “My first year was like a whirlwind, it has been an incredibly dynamic learning experience yet hugely enjoyable and rewarding. Perhaps the steepest part of my learning curve has been to understand the channels to market and how certain elements of those channels are resistant to what I believe is much needed change, not because they are closed to new ideas, but because those old ways of doing things have been hugely successful and have made a number of businesses household names. I refer of course to the direct sales model. “As our products evolve, so does the value proposition, the simplistic approach of enhancing your home with a relatively low cost, yet perfunctory solution is all well and good, until of course you examine the real needs and wants of the consumer wishing to add space. “Ultraframe did exactly this, as I joined, Ultraframes Managing Director, Iain Thomson had already committed to undertake extensive market research which would underpin our future product development strategy. The research unearthed some alarming feedback on the buying public’s perceptions of conservatories. Looking at the decline in conservatory sales, we suspected that there was something else happening with demand, other than the general economic situation. What we found was that the British love affair with the conservatory appears to be over. “The lack of temperature control was one of the key criticisms of current conservatories, which impacted on the perceived usability, with restricted daily usage even the smallest of investments would result in poor value for money. This led us into the development of Loggia. “Another major area of negative feedback on the standard conservatory was poor styling and lack of personalisation, hardly surprising when in real terms, the conservatory has not been developed. During in-depth interviews, couples who had already bought a conservatory were shown additional features such as Livinroof, cornice and initial Loggia concepts, without exception all couples said that they would have modified their buying decision, even at the higher buying price. This then goes against the conventional wisdom of the direct salesperson, who generally believes that sell-up opportunities can often lead to indecision, over-pricing and the potential loss of a sale. “However, even in my brief time in the industry, I have detected a polarisation in the market, with forward thinking, showroom based retailers providing choice, advice and ultimately great products which meet the aspirations of the buying public. These retailers will form the core, rather than the minority of conservatory and extension providers going forward. 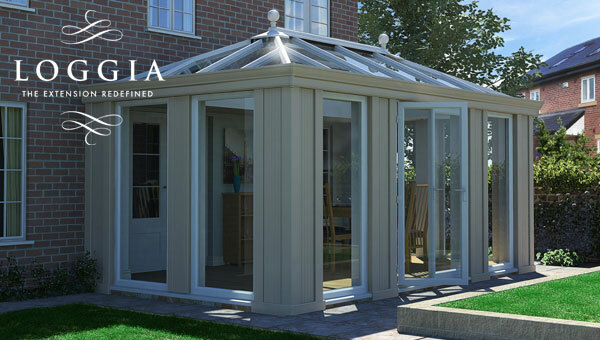 “Without question the highlight of my first year has been the launch of Loggia which helps pave the way for future product development as we move into the provision of light and space alternatives to extensions (as well as conservatories).